The Spidertrax Blog » Ultra4 Crandon details posted and would you look at those purses! Home > Ultra4	> Ultra4 Crandon details posted and would you look at those purses! Ultra4 Crandon details posted and would you look at those purses! We just received official details on the Ultra4 invite to Crandon’s legendary Internation Speedway. 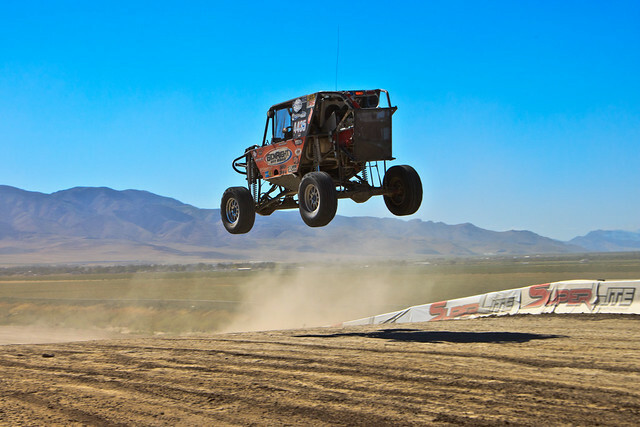 On June 16th and 17th, Ultra4 racers will get their chance to battle it out on the same course, and weekend, as Pro 2, 4, and Light drivers during TORCs Round 5 and 6 competitions. Not only is this going to be a short course race of epic proportions, the Ultra4 weekend purse is an impressive $12,500. But why stop there? A minimum of 10 participants are required in vehicle’s class (looks like 15 are already registered, so this shouldn’t be a problem). Vehicle must be equipped with at least one Spidertrax branded product. Two Spidertrax decals (18″ or 24″ long) are required to be visible on vehicle, with one decal located on vehicle’s passenger side & one decal located on vehicle’s driver side. All decals must be supplied by Spidertrax. We plan on making the trip out, not only to enjoy the awesome short course action Ultra4s are sure to deliver, but also watch Brad Lovell continue to battle it out in the official TORC Pro Light class. Hope to see you there!